“Tebow Time” is officially over in my mind. I have finally given up on the man I once thought could do anything. It is as if I was 6 years old and found out Santa Claus was not real. Rex Ryan decided Tim Tebow’s fate in the NFL when Ryan decided to start Greg McElroy over Tim Tebow in the final two games. Even with speculation of Tebow going to the Jaguars next year and competing for a starting job, he will never be a true NFL quarterback. In Jacksonville, Tebow will be used as a huge promotion. It will work because Jacksonville is his hometown and those who live there are sure to buy his jersey no matter what. Heck I will probably buy his jersey. I still believe Tebow can be a good quarterback in the NFL, but he will not get a fair shot to prove it. He will never be a good quarterback in the ways that Tom Brady or even Cam Newton are, but he will be as Joe Flacco is. Flacco has been criticized for his statistics but still remains a good quarterback because of the wins he has. Tebow can do the same for a specific team in a specific style. The Wildcat is not the answer, nor is the typical drop back passing style Tim Tebow is used to. The style that will fit for Tim is a mix between Denver’s option run type style and at Florida where they trusted Tebow’s decision making more. The one reason I think the Jets would have been better off playing Tebow over Sanchez is because of Tebow’s decision making. Tebow would never turn the ball over 25 times in 14 games like Sanchez was able to. 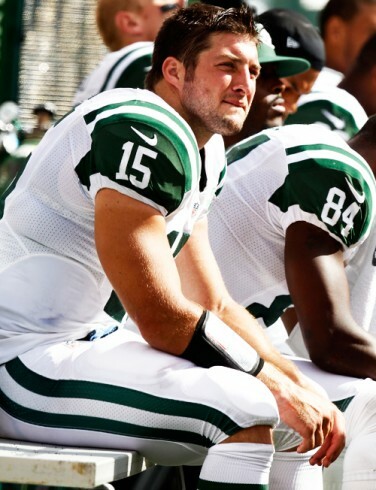 Call me crazy but I believe that the Kansas City Chiefs would be an ideal fit for Tim Tebow. While this will most likely never happen, I think it could work. With the Chiefs, he would be able to rely on a strong defense and amazing running game. The option run with Charles could work even better than it did with Broncos and Willis McGahee. In short yardage, defenses would have to worry about Peyton Hillis and Tebow. One thing the Chiefs have that the Broncos and the Jets did not is Dwayne Bowe. At Florida, Tim had Percy Harvin as his go-to receiver. When Tebow has a dominant receiver, he has success. Tebow was never comfortable with the receivers for the Jets or the Broncos for good reasons. With Bowe on the outside and an athletic Tony Moeaki at tight end, teams would not be able to stack eight or even nine players in the box. Moeaki would finally be able to use his skill set with Tebow. The Chiefs would use Moeaki as Aaron Hernandez was used at Florida with the option pass in which Moeaki runs behind the line along with Tebow and Charles to create three options for Tebow. While yes, he can’t throw a spiral to save his life but after watching him since his Freshman year at Florida, he gets the job done. He will complete the passes in crunch time to keep drives going as he proved in the overtime victory against the Steelers in the playoff last year. The only true chance of Tebow going to the Chiefs is on Madden with me as the controller. This is still something the Chiefs should at least look at because of how cheap Tebow will be at the end of the season. All I want for Christmas is Tebow to get a fair shot in the NFL to prove that he can win for some team. Since there is not an elite quarterback in this years draft, the Chiefs could get Tebow and be the next destination for “Tebow Time”. This entry was posted in Football, Football, Home, Midwest, National and tagged Chiefs, New York Jets, NFL, Tim Tebow.